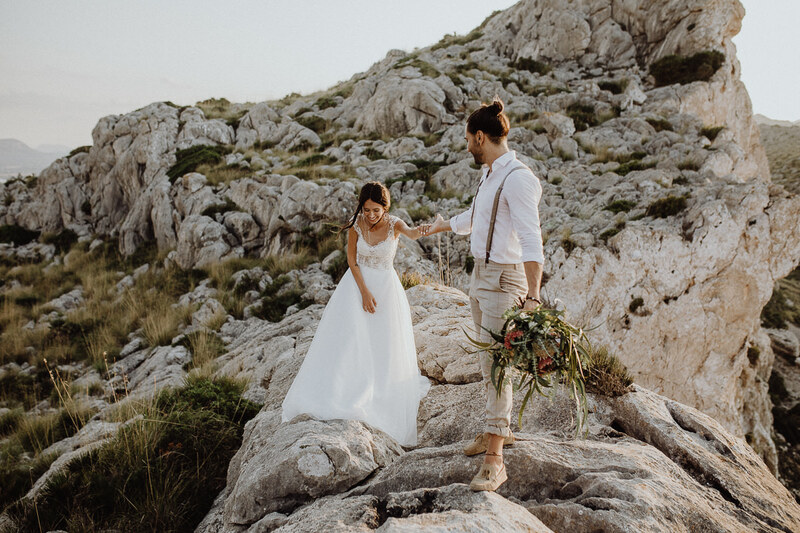 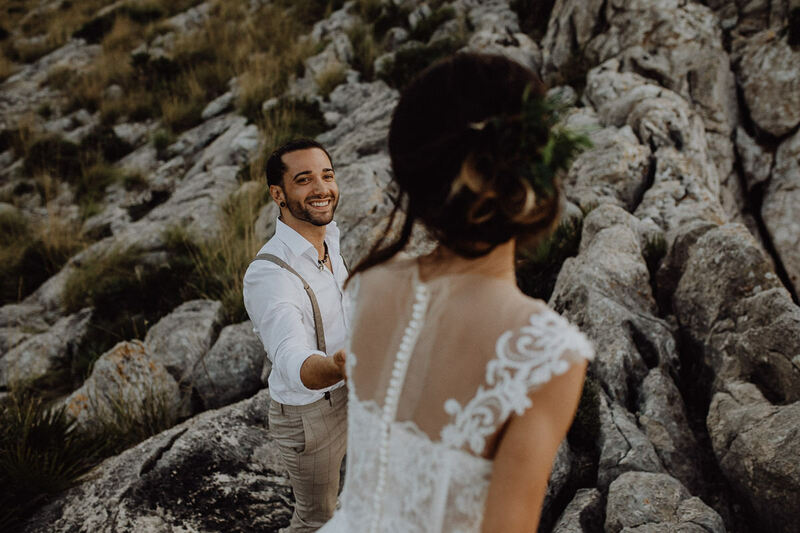 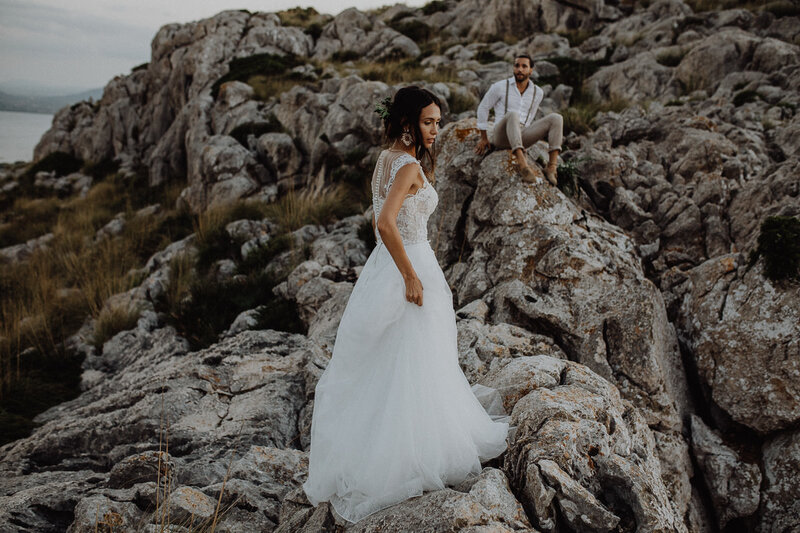 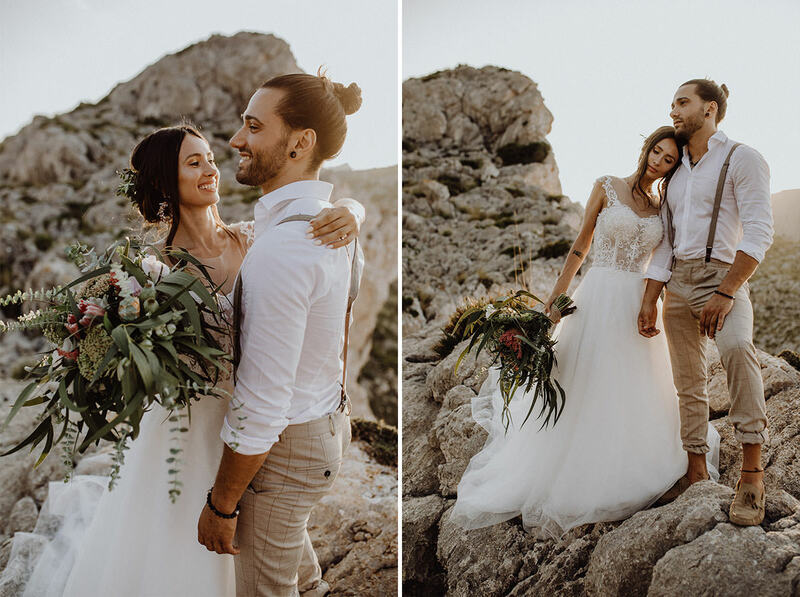 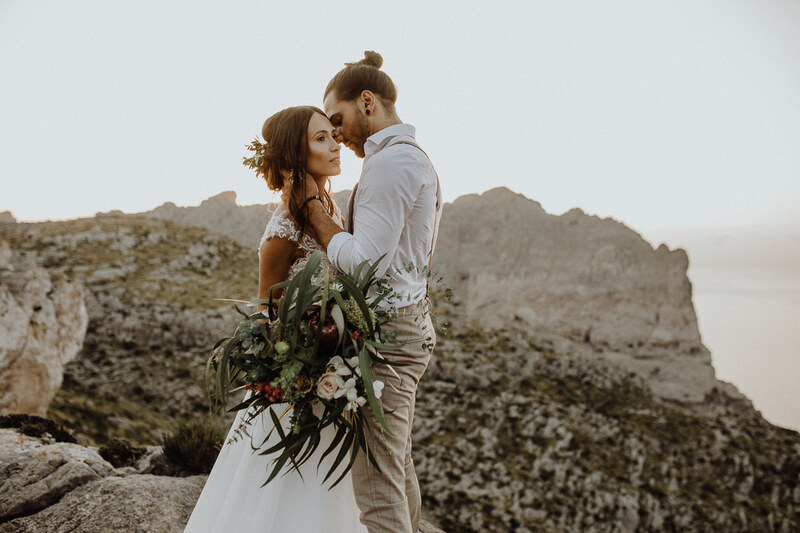 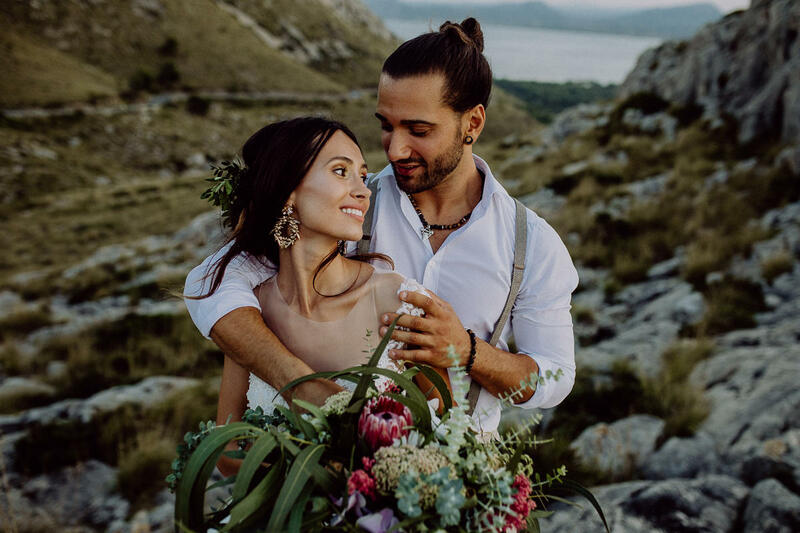 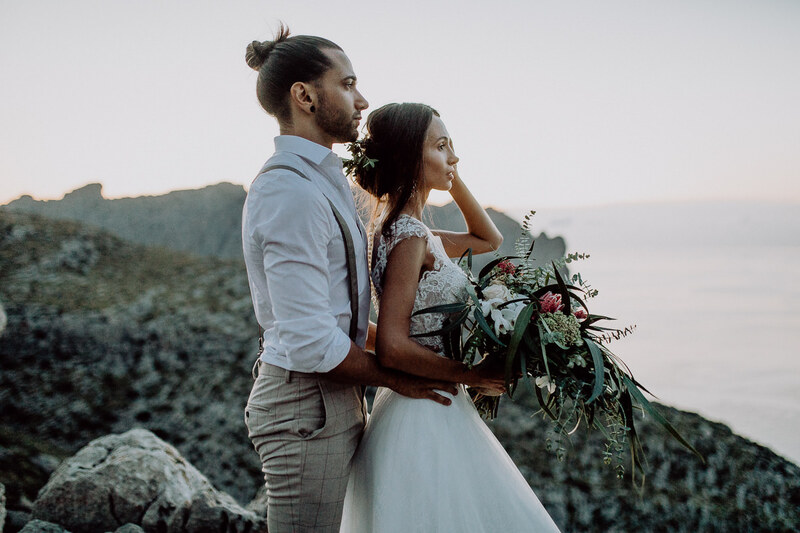 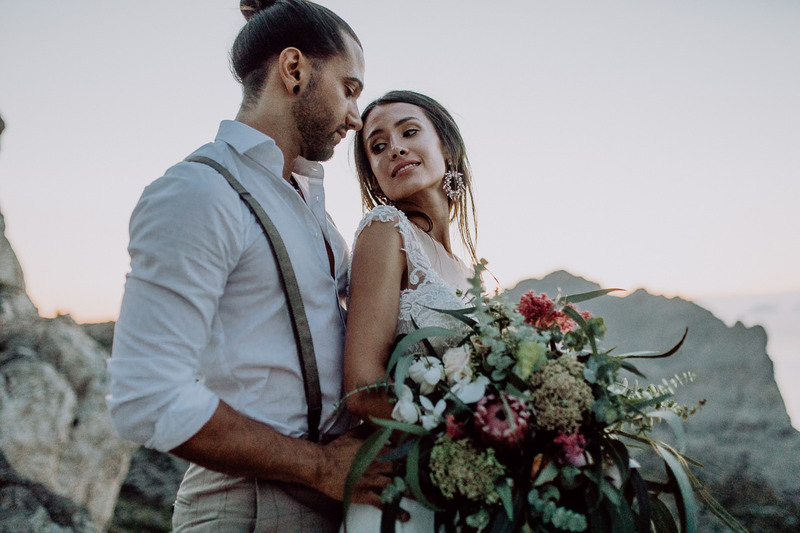 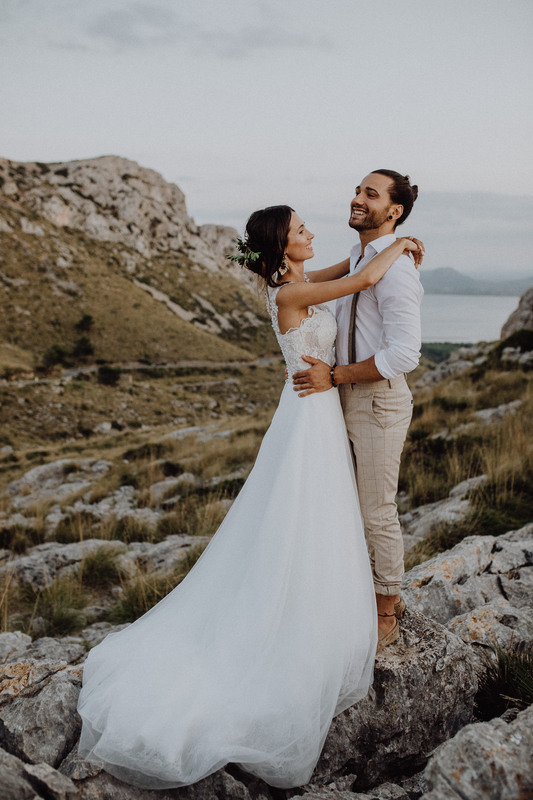 In August 2018 there was a lot of stuff and many amazing projects going on and I am super happy to present this after wedding shooting from Mallorca with you! 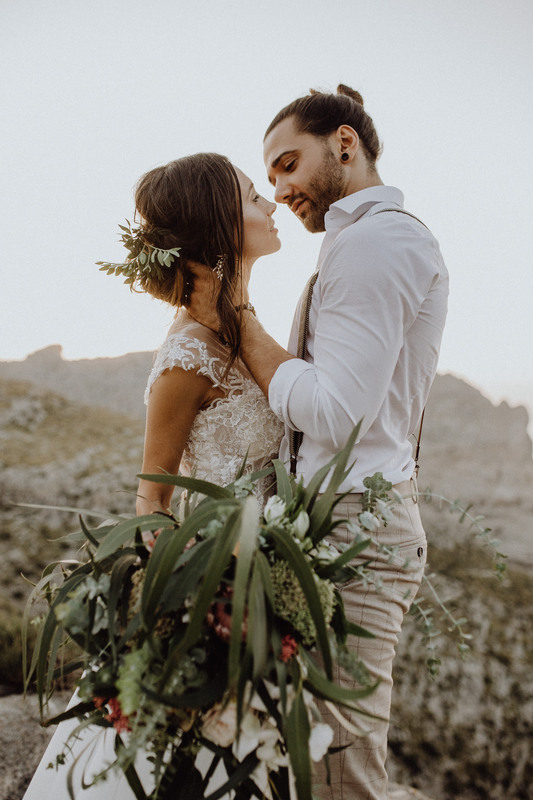 We actually wanted to create some wedding inspiration photos that fit what I personally consider the perfect wedding look. 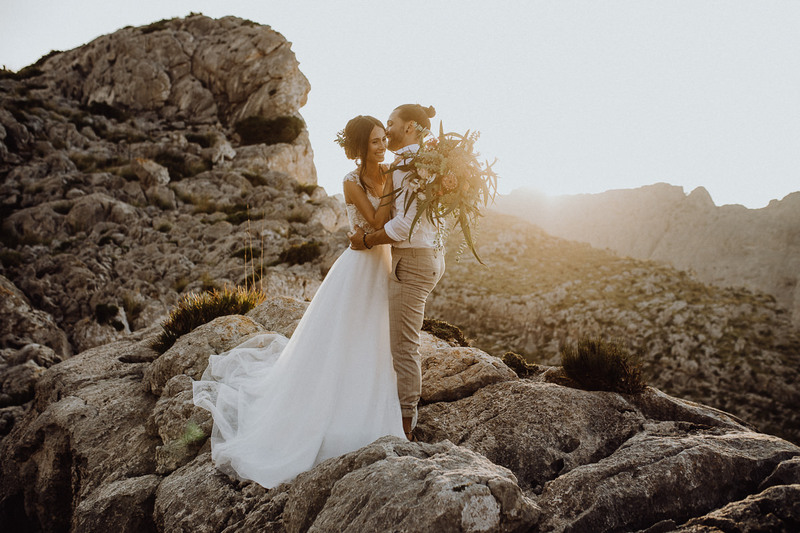 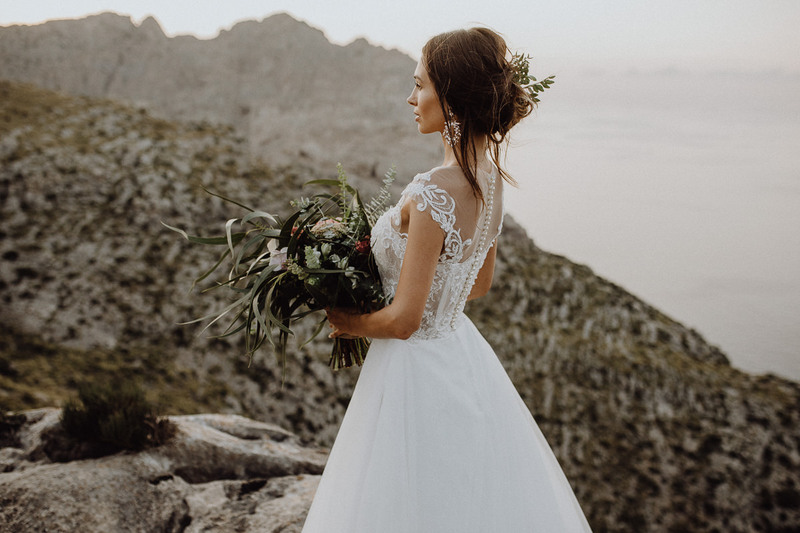 As a team of 5 people we traveled to the North of Mallorca, where the stunning coast with its mountains and the blue ocean presented a breathtaking setting for this photo shoot. 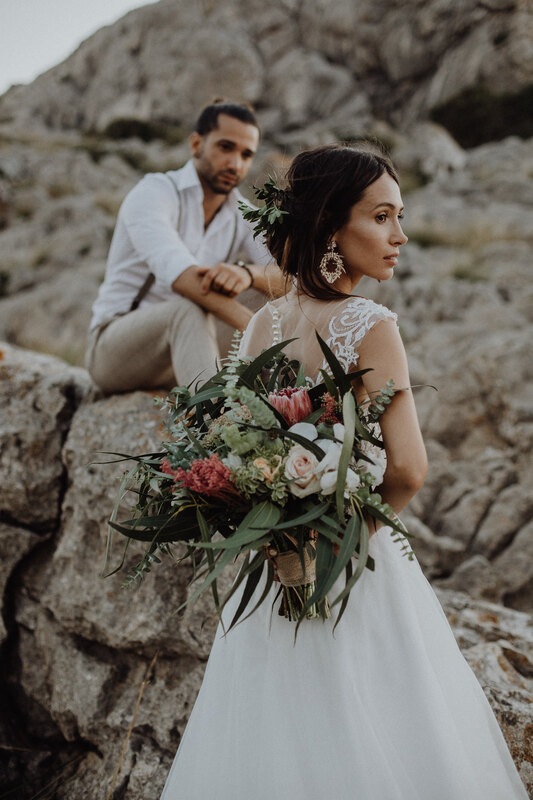 The whole shooting is designed in a vintage style and we combined it with simple floral elements like a bouquet and some flowers in Dianas hair. 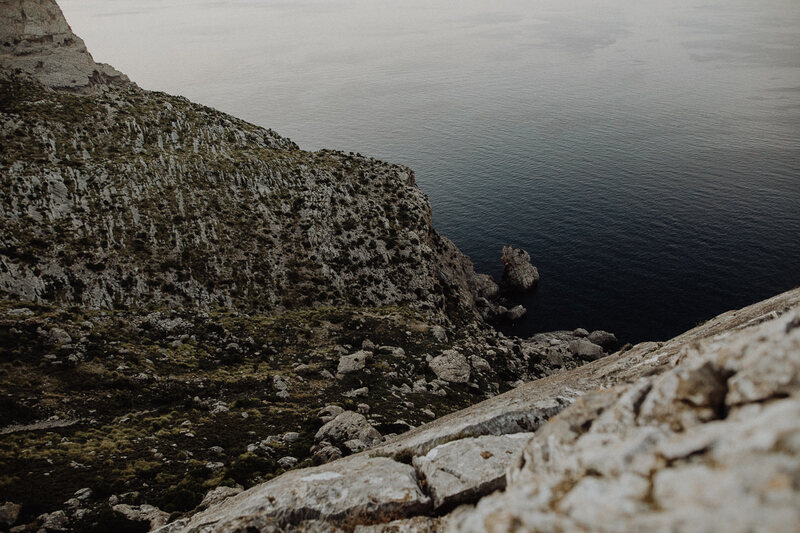 I personally am a big fan of the rough nature in the north of the island. 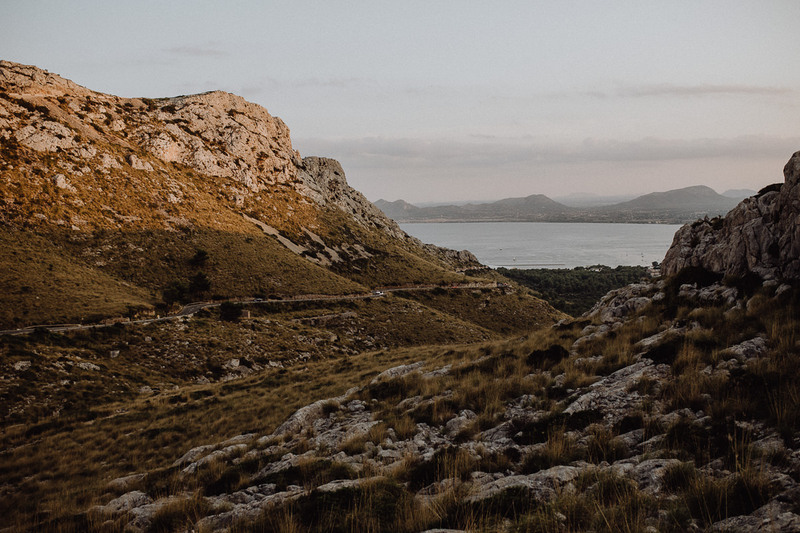 Also, the light is kinda different on Mallorca, its super soft and the colors are just amazing. 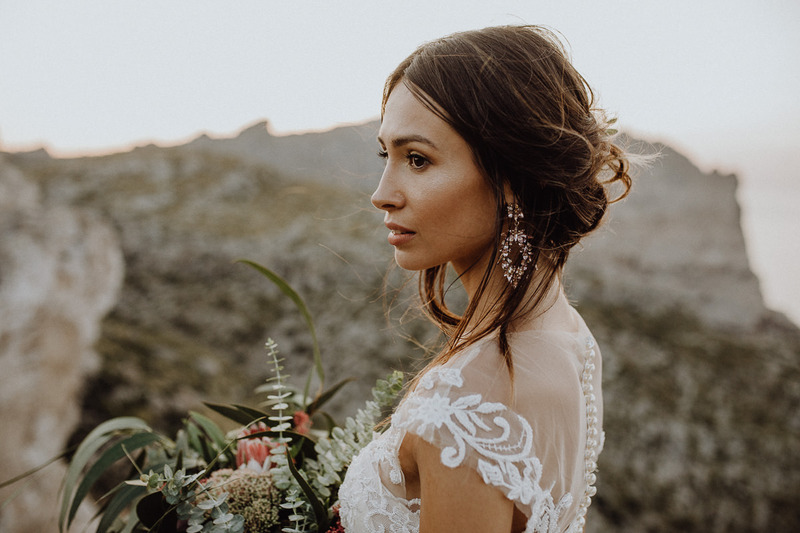 The light also makes the skin look pure and warm. 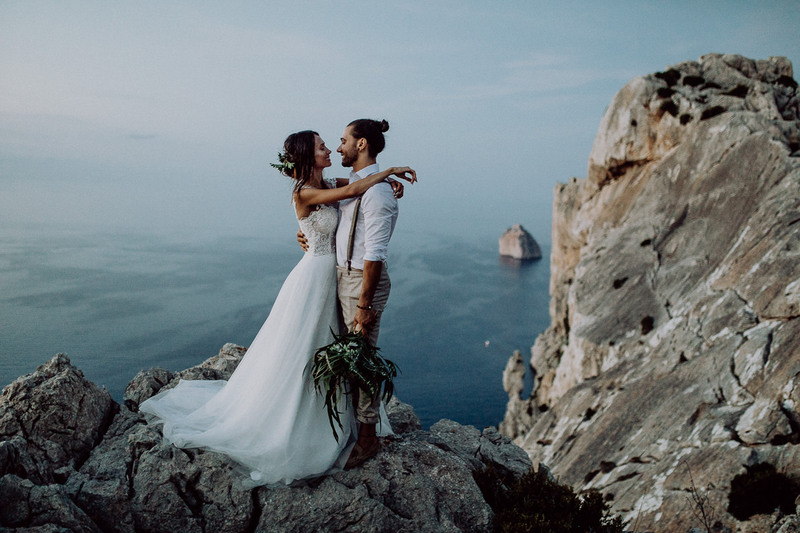 I hope you are also so much in love with these inspiration photos as I am. 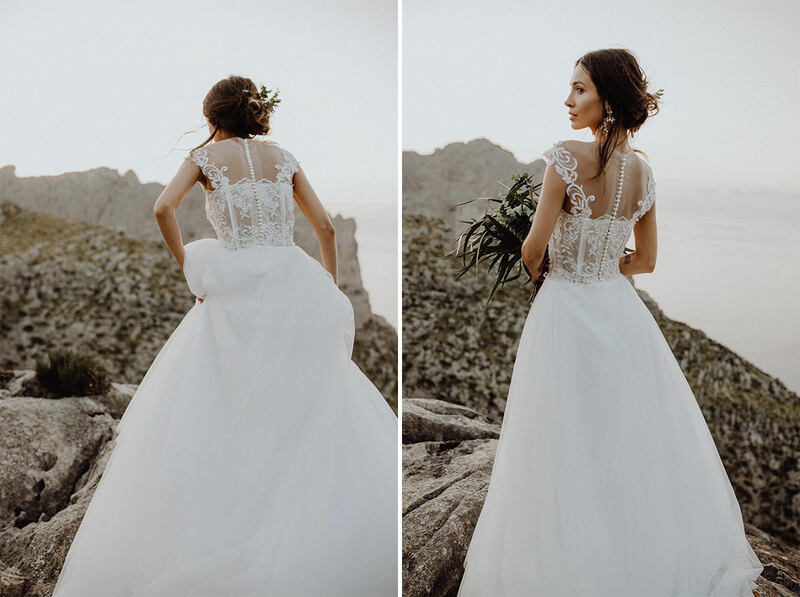 The composition of the whole look! 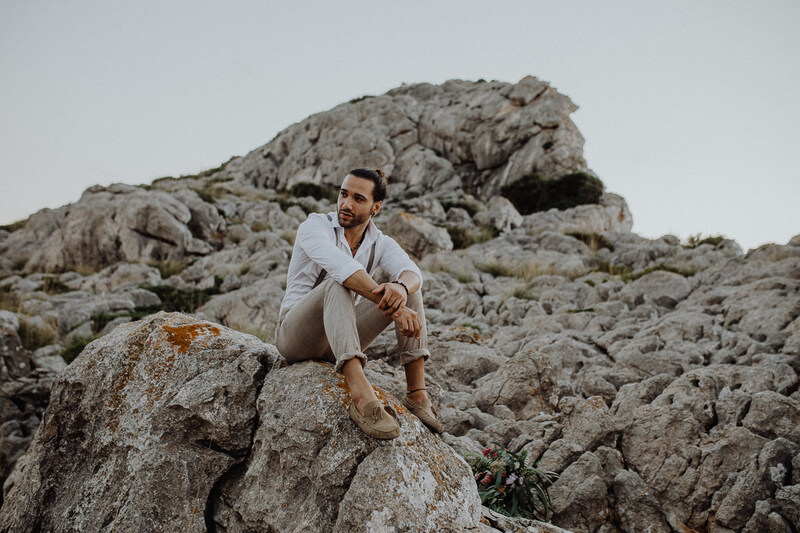 With his casual-elegant look, composed by Selected Homme suit pants, an Olymp shirt, suspenders from Asos and moccasins, Alex fits smoothly into the natural setting. 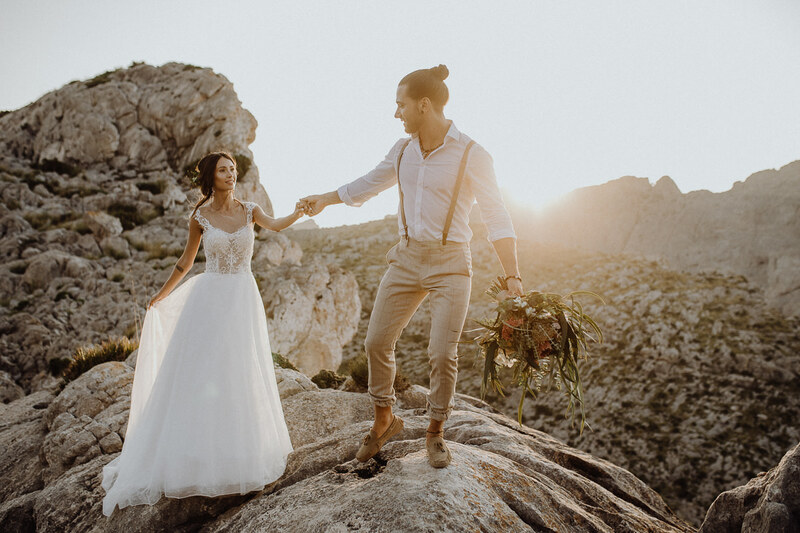 The beautiful and made-to-measure wedding dress of Diana was created by designer Francis Xavier and combines elegant elements with boho and vintage elements. 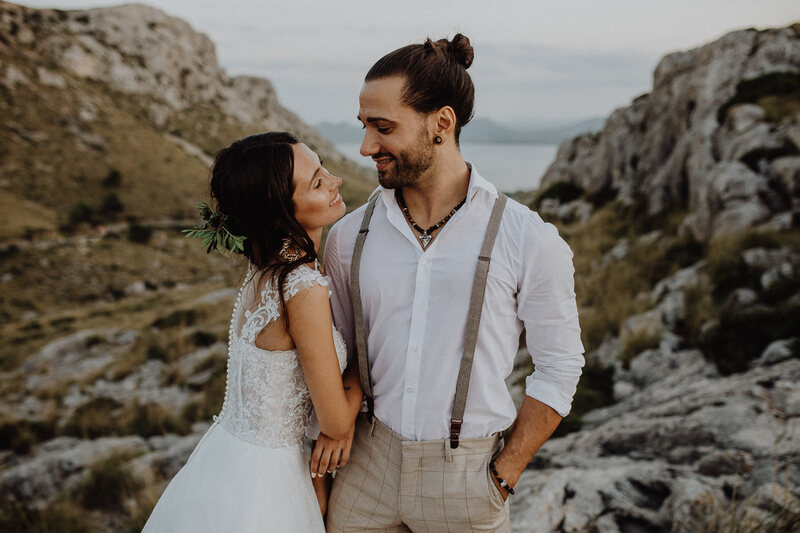 Our makeup artist Lena Draskowitsch was using a natural makeup combined with a messy updo hairstyle. 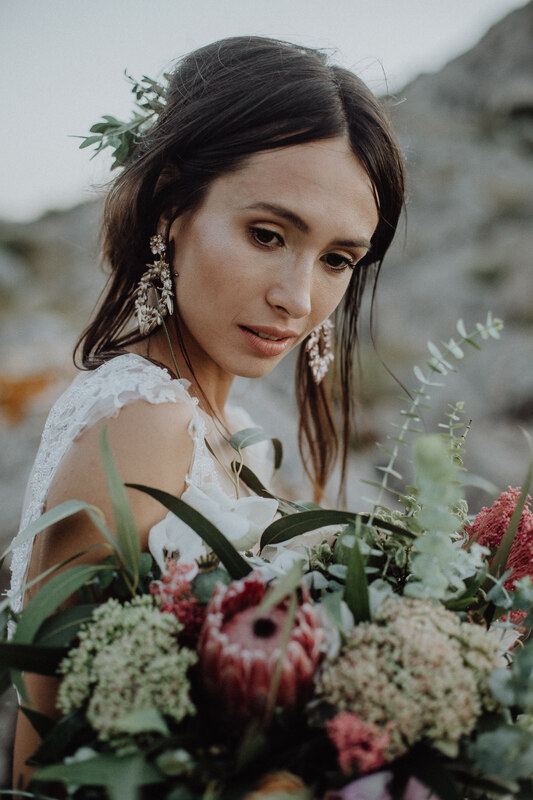 Apart from this, Diana wore bis statement earrings that we bought from Ebay. 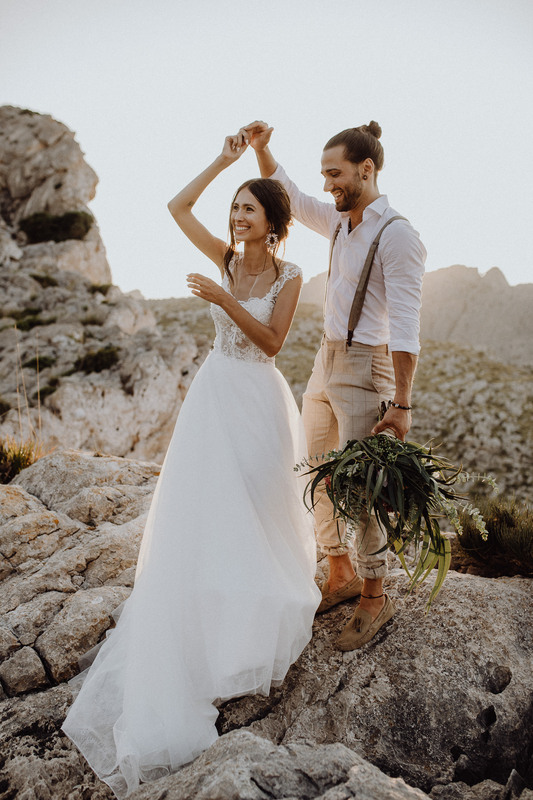 Modern wedding looks do not necessarily have to be expensive! 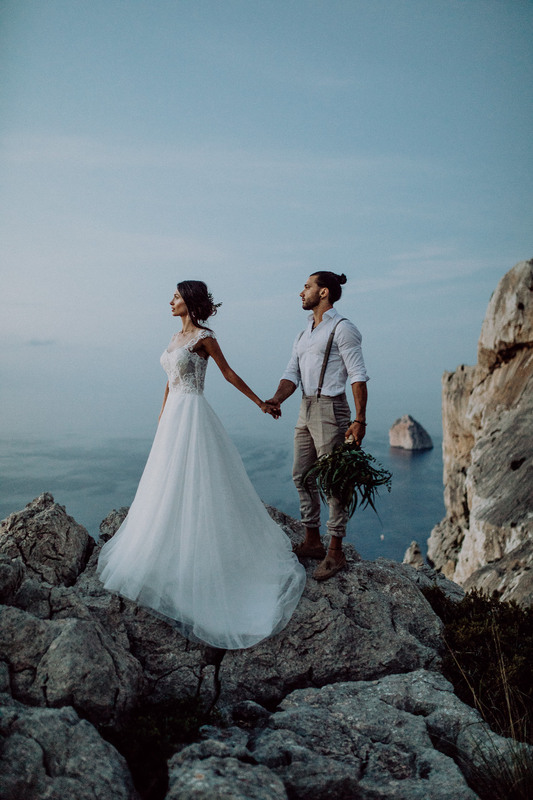 A modern look therefore must not be super expensive and can be created by a targeted research and a good combination of the single parts. 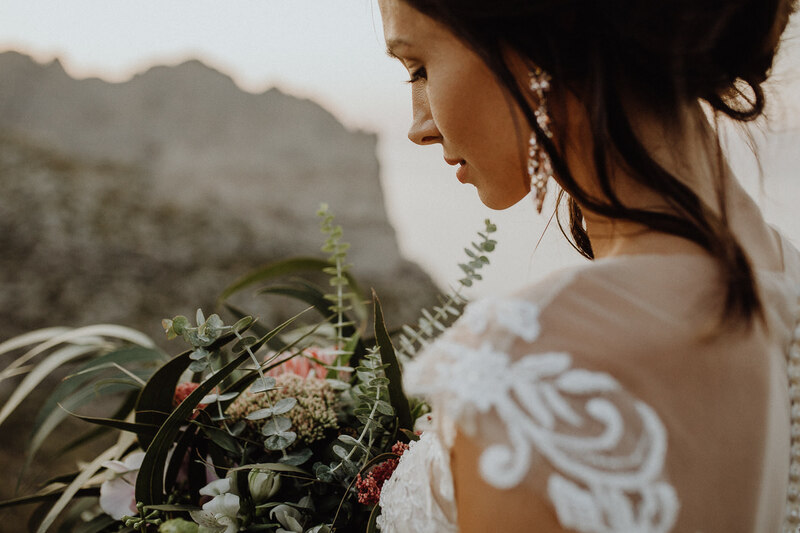 The wedding bouquet sets some highlights with its green leafs and creates some contrast to the bright outfits of Diana and Alex. 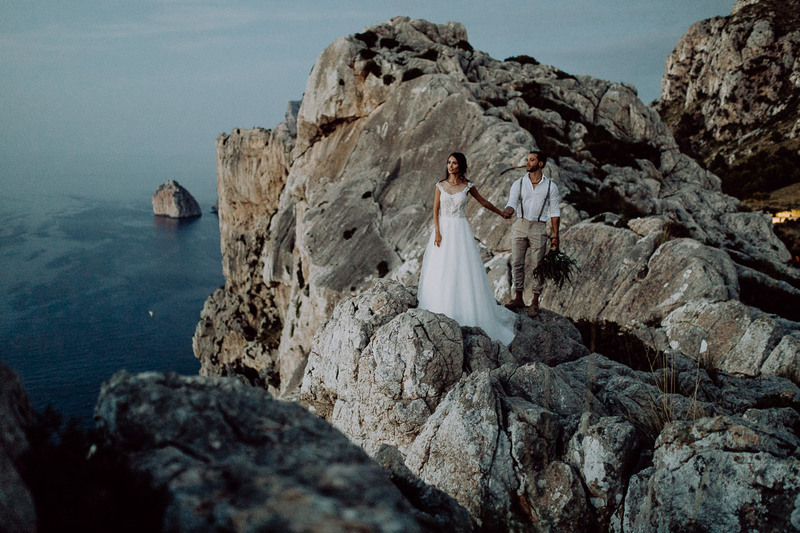 During my short trip to Mallorca I not only shooted Diana and Alex but also had the opportunity to meet Giuliana and Mariano which I photographed at some beautiful beach in the southern part of the island, close to Palma.